It’s been a reaaaaally long time since I’ve posted a new blog post but this song truly moved me to do so. 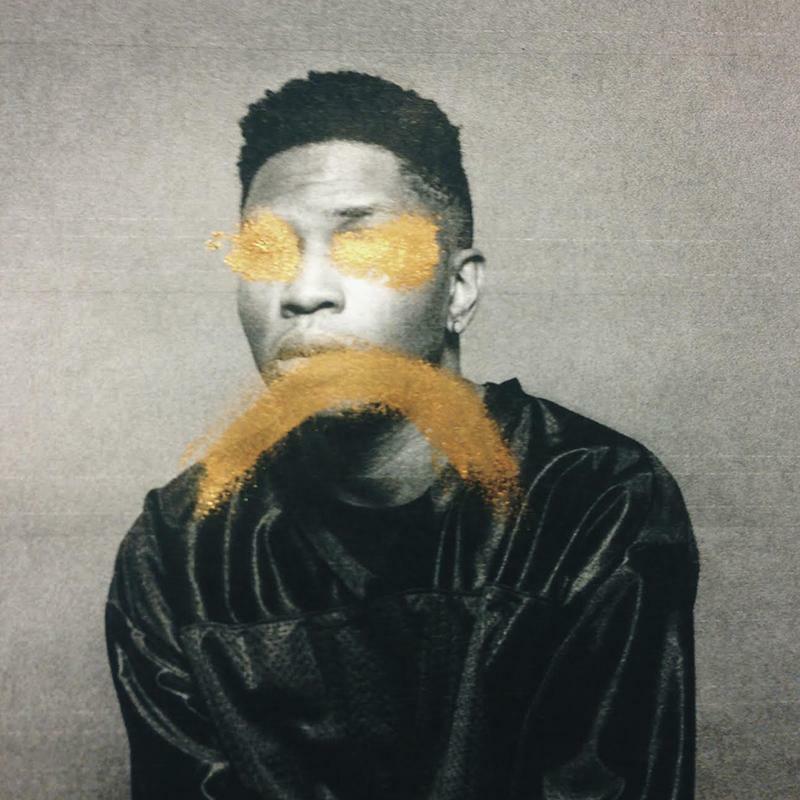 Lately, I’ve had a thing for vocalists such as SZA, FKA Twig and this newcomer, Gallant. He hits all the right notes in all the right places to transcend directly to my soul. The way the song is written reminds me a bit of what Frank Ocean did on “Thinkin Bout You,” with all the contradictory ideas in order to prove one single point. Writing like that really catches my eye and ear. This song has been giving me LIFE for the last few weeks since it’s release. Listened to it on repeat for a couple days straight. Peep it below and I hope you enjoy the song as much as I do. Wanna Share My World, Don’t You Understand? Your Love Is A One In A Million. A couple days ago I was tweeting about how when I was younger I wouldn’t listen to or buy full albums. I would just buy a tape or CD single of the song I liked at the time. 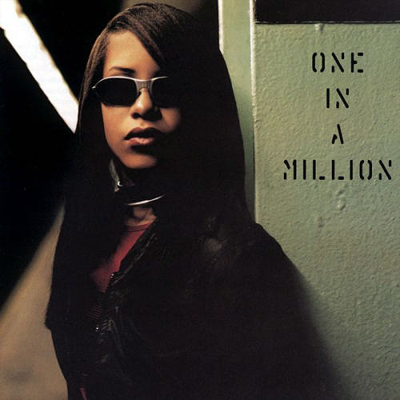 But today, I was reminded of the album One In A Million by Aaliyah and this was one of the two full albums I used to listen to. (If anyone is curious, the other album was Mya’s self titled Mya.) Originality, uniqueness and true talent are three things that Aaliyah embodied and this is something I look for in artists today. I remember when I heard the news of her passing it felt surreal and I didn’t even know her personally, but I was extremely sad. Her music, especially this album, truly touched me and took my heart and soul to different places that I really didn’t know existed at the time or didn’t know what it meant. Now, being older and being as into music as I am – I understand. It’s the passion. And, for that, I am thankful. Happy Birthday, Aaliyah. Rest In Paradise. I don’t normally get political or share my thoughts on what’s going on in the world outside of music. I have my reasons. But his words struck a cord in me and I felt compelled to share. This entire speech is beautiful: to the ears when you hear it, the eyes when you read it and your heart when you let it sink in. Thank you to OkayPlayer for posting this! Where are we? We’re at critical time. We’re at watershed moment for humanity. I imagine we’ve been here before and I imagine we’ve probably been here longer than we realize. I think many of us are becoming even more aware of where we are. And the urgency to change this miserable condition on this earth” (as Malcolm X said) is occurring to many of us and reaffirming itself. It was the best of times, it was the worst of times. It’s an opportunity for necessary change. Positive change. And it’s not necessarily convenient or comfortable. As I’m sure is with any period of growth. I read somewhere that in order for an arrow to fly the bow has to be drawn back. There’s some pressure involved and I think we’re all feeling that pressure. Some of us are more aware of it than others. Some of us are trying to drown it out. But we all feel it one way or another in indelible ways in these times and days. “Go placidly amid the noise and haste, and remember what peace there may be in silence. As far as possible without surrender be on good terms with all persons. Speak your truth quietly and clearly; and listen to others, even the dull and the ignorant; they too have their story. Avoid loud and aggressive persons, they are vexations to the spirit. If you compare yourself with others, you may become vain and bitter; for always there will be greater and lesser persons than yourself.” Quoted from Max Ehrmann’s Desiderata. Go on and marinate on that for a moment. Everyone needs a little feel good music from time to time! That’s exactly what you get from this song and video. Jinx blends hip hop, pop and alternative stylings into the perfect combination and his goal is to continuously defy genres while never limiting himself to just one. He’s definitely headed in the right direction with this mentality. We have so many artists out there nowadays such as FKA Twigs, Shy Girls, and Los Rakas to name a few. I love the mixtures and different sounds artists are able to create. 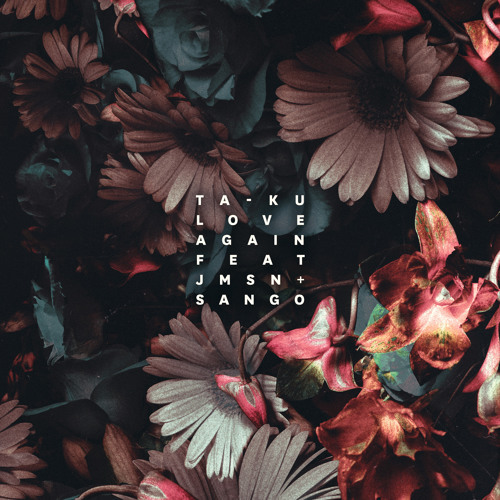 The track, “Alive” is upbeat, positive and fun. It has a great rhythm, beat and a catchy melody. In anticipation of releasing his debut album in 2015, he’ll be dropping some more tracks in the near future. Watch his new video for “Alive” below and have a beautiful day! Aaaaaaaand finally my almost-two-months-of-no-writing hiatus is over. I can’t tell you how many blog posts I’ve started, set aside, and then haven’t gone back to during this time. I’m excited to be back but even more so excited to introduce you all to this talented newcomer, GRACE. I first heard her back in September and revisited her music last month. In that short amount of time I’ve seen her transformation and growth as an artist. 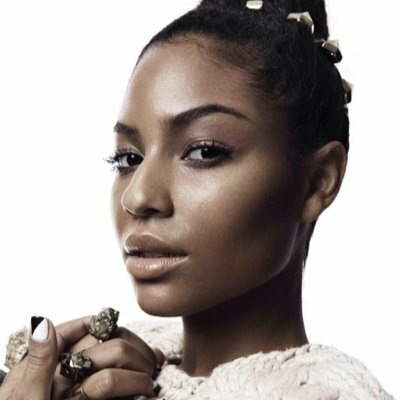 This songstress, hailing from New York, describes her music as basement soul with a mix of hip hop soul that delves into some trap sounds. She keeps it real in her song about loving and being left for another. She channels her feelings of hate into a “really dope love song.” If you like what you hear, be sure to check back here as I’ll be premiering her project TASTE which will be released in 3 volumes. Honestly Gotta Ask Myself, Time And Time What I’m Working For, Is It Worth It Though? When I saw Black Milk live for the first time last fall at Santos Party House in NYC, I had never heard of the Detroit rapper before. 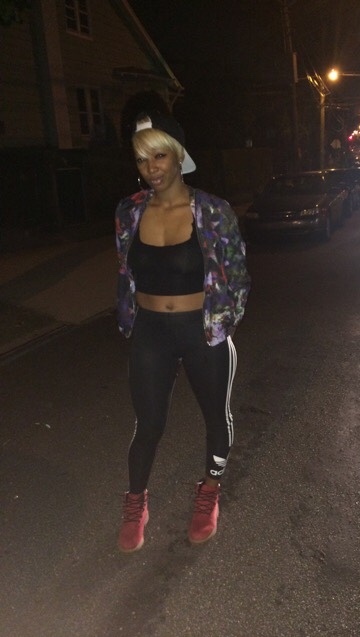 My friend dragged me out (shout out to Andre) that night and I contemplated leaving before Black Milk even hit the stage – due to sitting through some terrible opening acts. 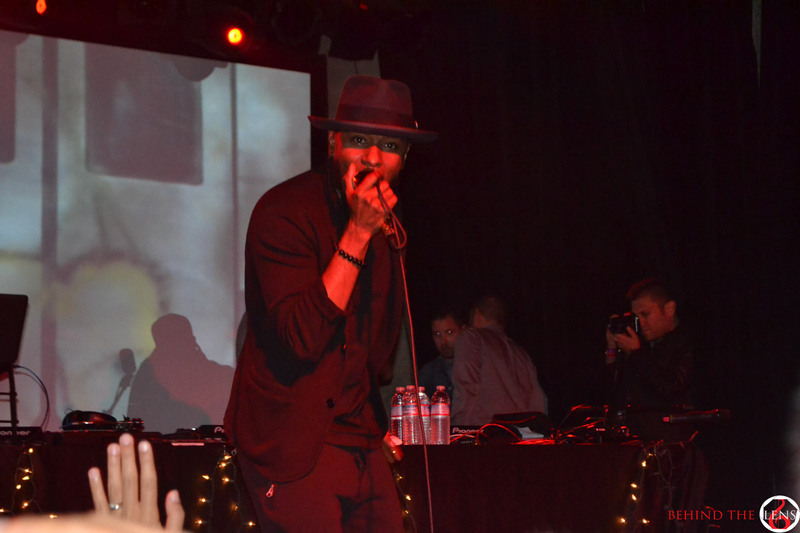 After enduring that, as soon as Black Milk and his band Nat Turner hit the stage…I was completely blown away. I had never seen so much talent together on one small stage. His drummer was absolutely amazing. There’s something wonderful about a live band backing a hip hop artist. 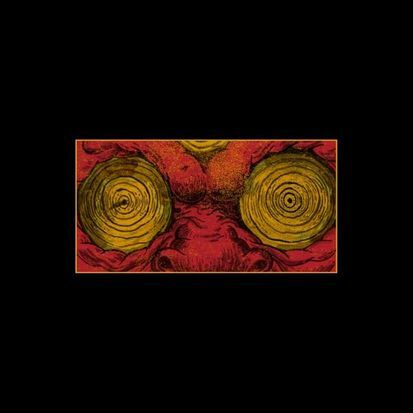 The beats hit that much harder especially over some dope flows – which Black Milk had no trouble producing for the crowd. Since then I’ve definitely become a new fan of his music. He recently released a new album If There’s A Hell Below and I’ve been listening to it on a regular basis. Don’t sleep on Black Milk, ya’ll! Below are some visuals for his single “What It’s Worth,” from the new album. There was a time in my life when I was really feeling artists from the UK. I still have a special place for them and, of course, would love to find out about more. But right now, a lot of the artists I’m listening to are from Australia. There’s A LOT of talent coming from there. Tiaan is one of four Australian artists I’ve really been feeling. I love her live, studio version of the track “Dive Deep.” I’m not going to say much else except for check out the video below and put her on your radar. I can’t wait for my chance to see her live…! I had originally wanted to write this special segment of my blog after Bryant Dope released the first four installments of #RawDopeWednesdays but I lost track of time, got busy and it didn’t happen. I’m actually happy though because through planning the execution of this post I realized that not only do the songs themselves tell a story but the order in which they were released also tell a story. Before I get into that, Bryant Dope announced in mid-July that he would release a new track every week on Wednesdays “for the fans only,” he calls this series #RawDopeWednesdays. There’s been talk about him releasing the Raw Dope 2 EP (follow up to Raw Dope – I suggest getting that) and #RawDopeWednesdays is certainly creating a buzz for that release. I’ve loved every single #RawDopeWednesday release thus far and I always anticipate the next one! Before I do a song by song recap, I want to go back to my earlier thought on the progression of the songs themselves and how they tell a story based on the order in which they were released. From the title of “My First Love” we can tell it’s the start of something, “The Best Part” lets us know that whatever that something is – it’s going good, “Summer In The City” is a song about having fun and enjoying life, then we hit the ‘climax’ of the story with “Dark Days” where something is amiss and the focus may have been lost or it’s having a hard time pushing through obstacles, things get better in “Is It Real” but there’s still some questioning going on and some uncertainty, the last song “Take It All” suggests that the story is over but since this track hasn’t been released yet…this is obviously just a speculation; which leaves me all the more curious to hear it and get the missing puzzle piece. Let me take a minute to recognize all the dope artwork for these songs…I placed them in a collage but definitely do your research and check out the full sized images! Everything about this project is so unique and different – I don’t think I’ve seen another artist do something like this in the past. 6. 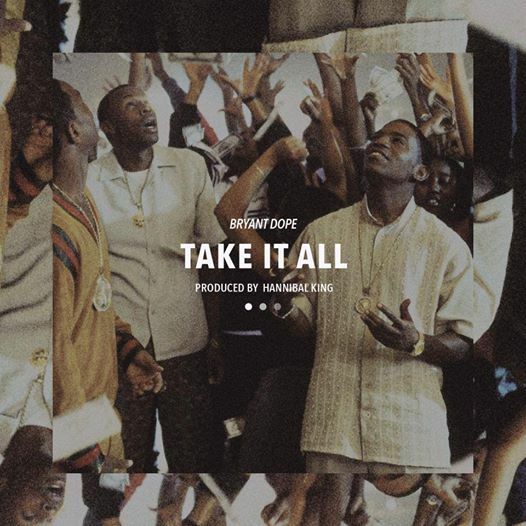 TAKE IT ALL: Track is produced by Hannibal King. Anyone recognize the artwork? Paid in Full! My mind is filled with curiosity and wonder for where this song is going to go and what direction it’s going to take the whole project in. Stay tuned for it’s release later today. I found out about Hannibal King by way of Bryant Dope‘s #RawDopeWednesday releases. (Search that hashtag on Twitter to find all the songs.) 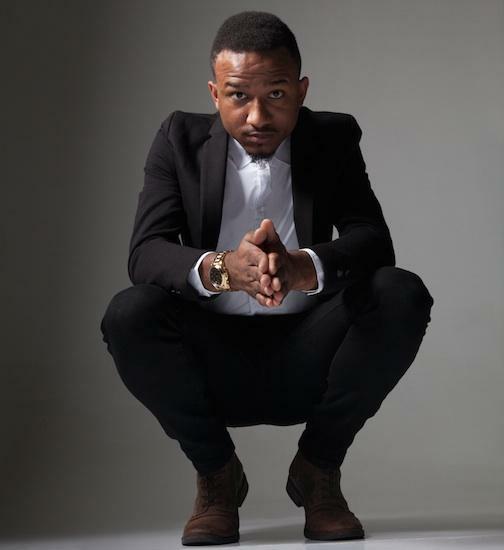 The first track released in that series, “My First Love” is produced by Hannibal King. The beat on that song is amazing especially because of the way it compliments the song. The track piqued my interest in Hannibal King. I started following him on Twitter, did my research and realized he had two songs: “Fast Way” featuring Adrian Lau and Bryant Dope and “Never Die.” I’ve been bumpin’ these two songs ever since. 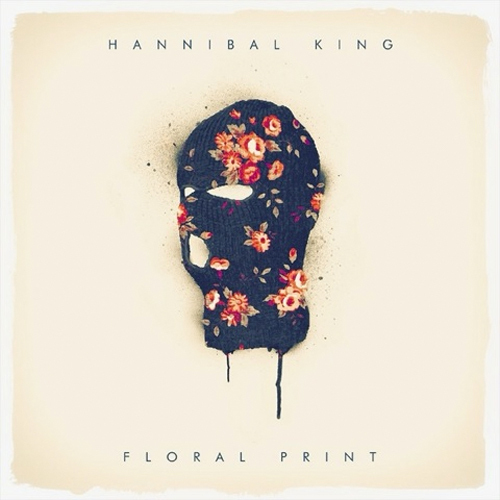 One week from today, on September 2, Hannibal is set to release his first project of raps Floral Print. I’ll definitely be getting that! In the meantime, he just released his video for “Never Die,” which will be featured on the project. Watch below, and mark your calendar for September 2nd.